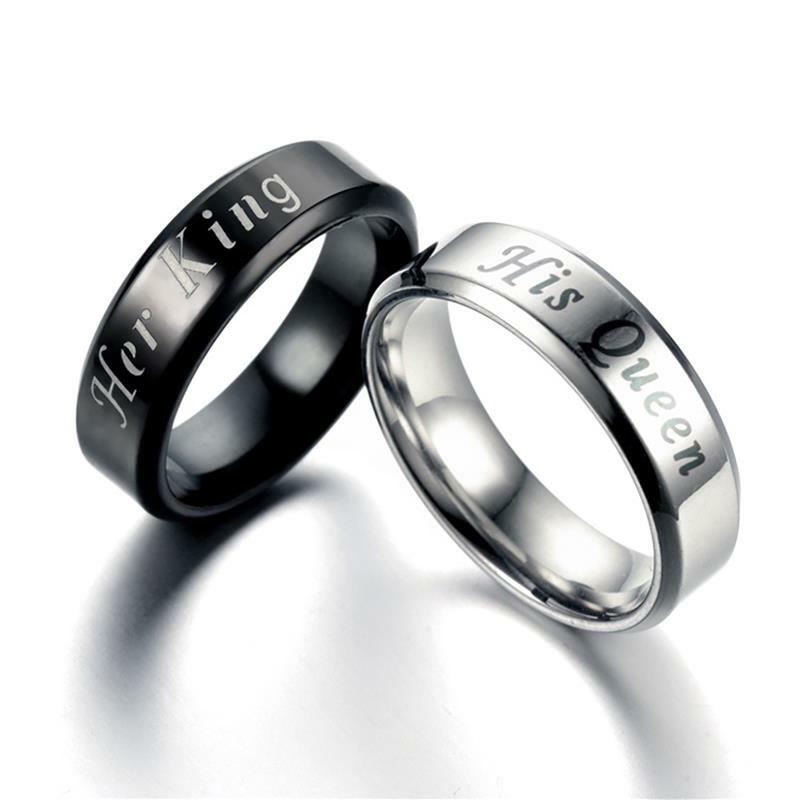 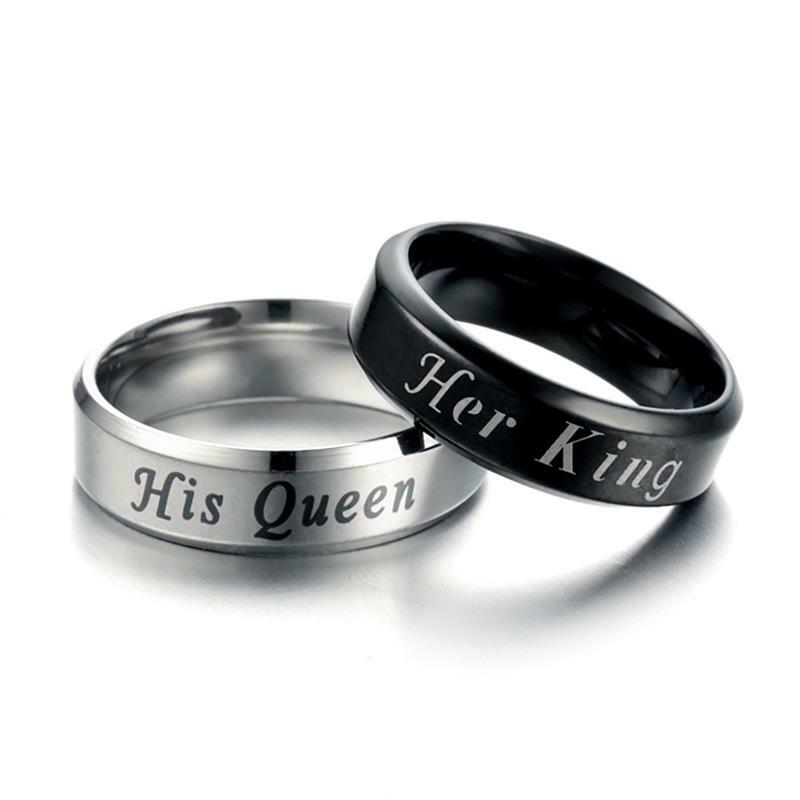 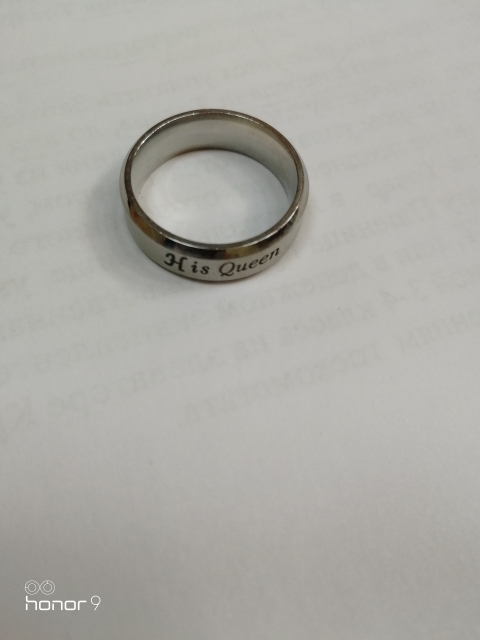 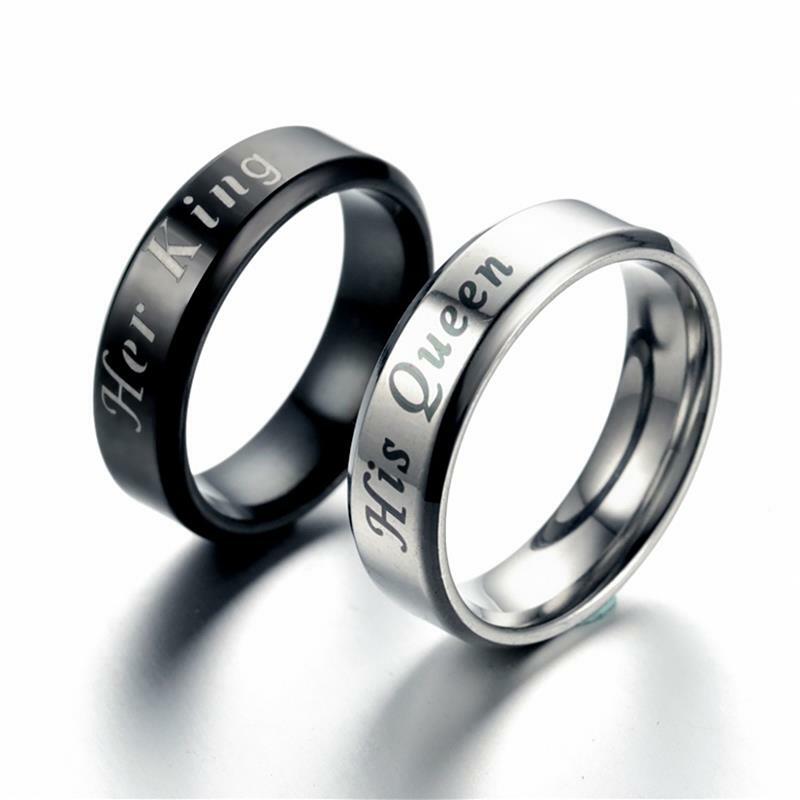 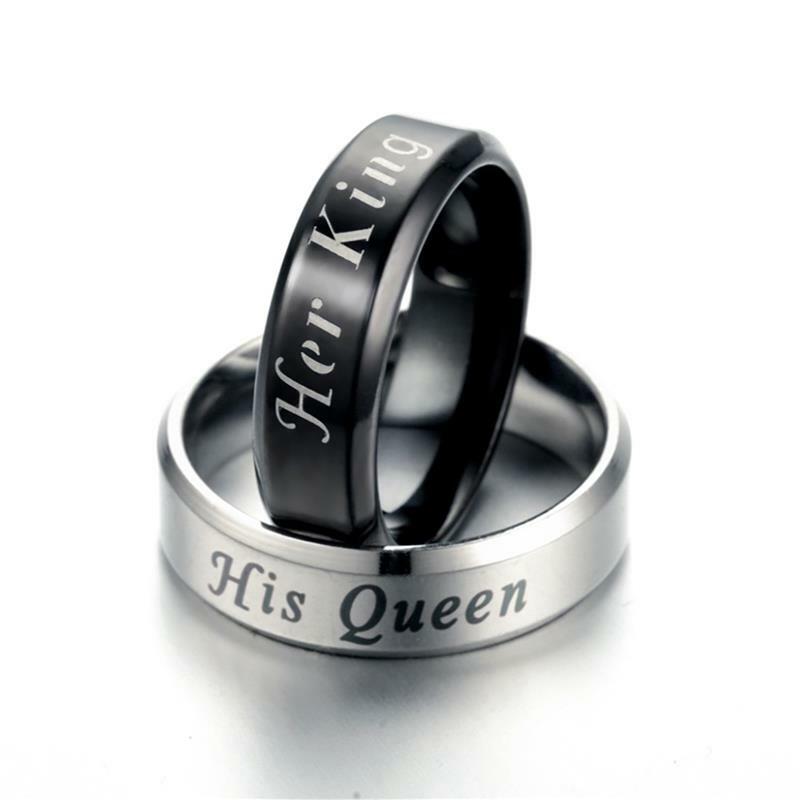 These Stainless Steel Rings With Her King And His Queen Engravings are absolutely charming, and they will be the perfect gift, either for you or for someone special. 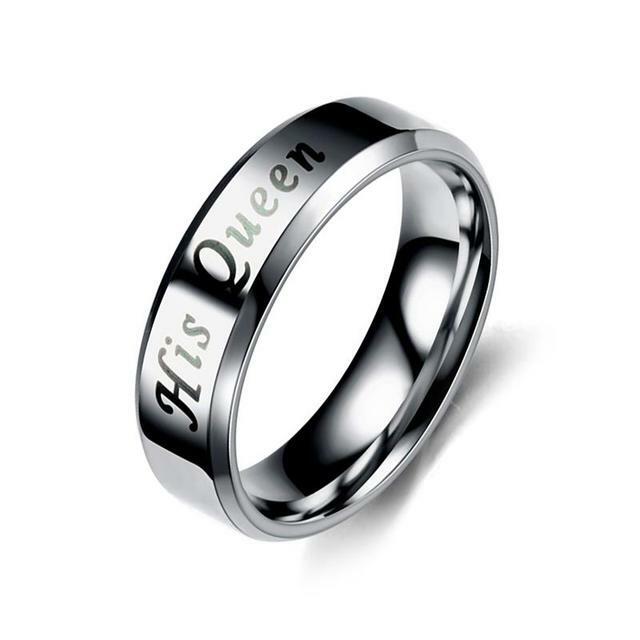 Being made of stainless steel, you can be sure that they will keep their brightness for a long time, and that is how you will remember that special occasion that led you to buy them. 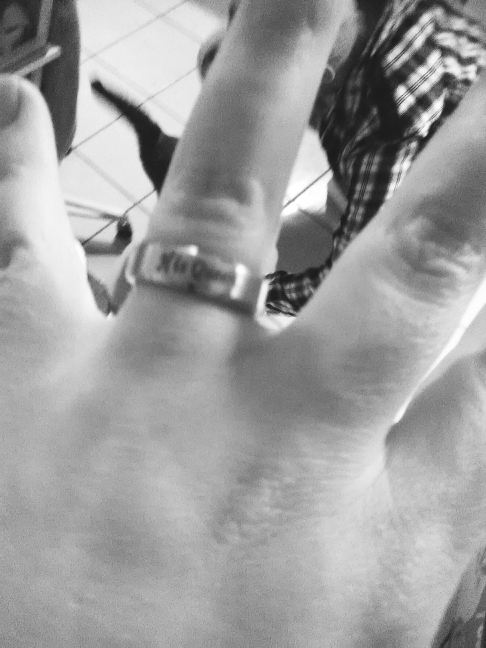 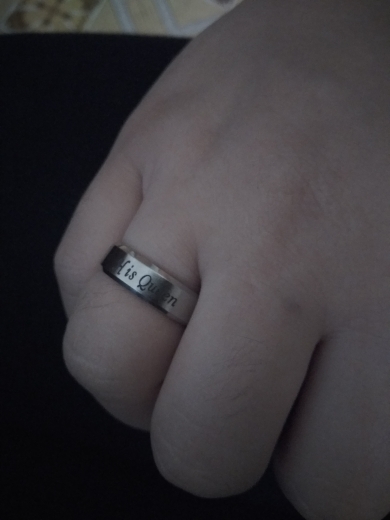 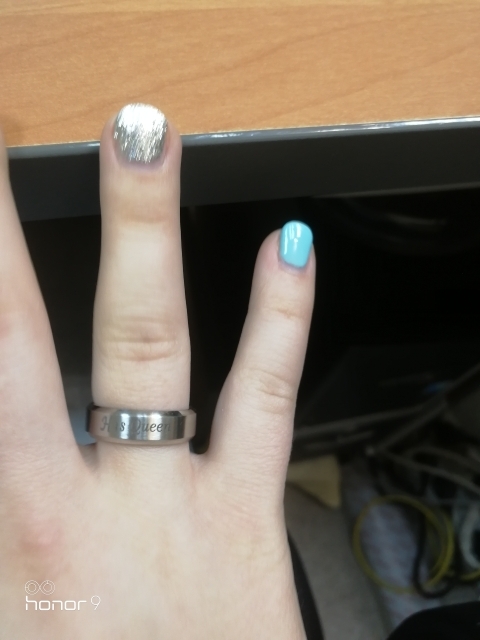 The ring is cool. 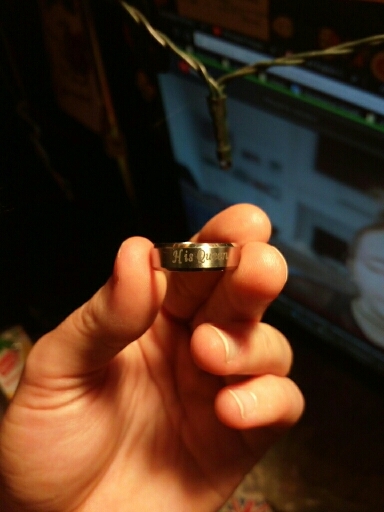 It does not look like cheap stuff at all. 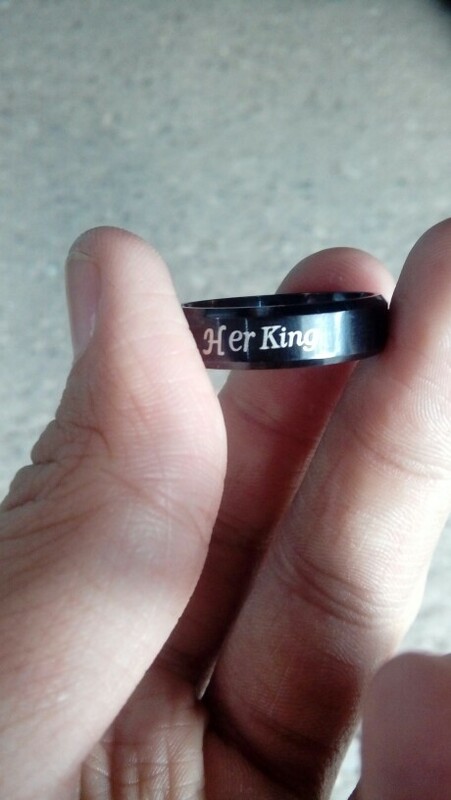 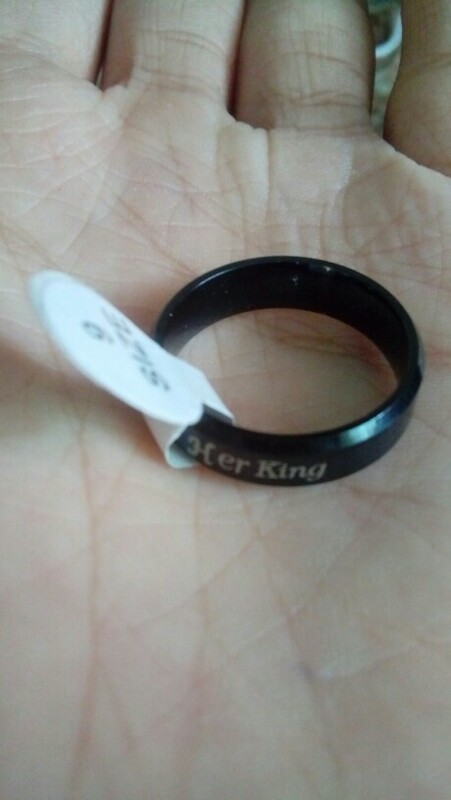 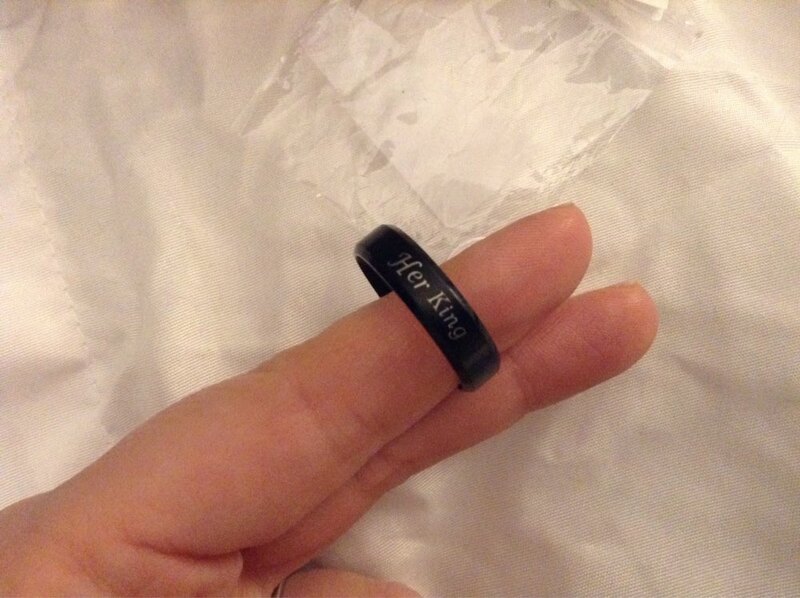 High quality rings, the inscriptions are clearly visible. 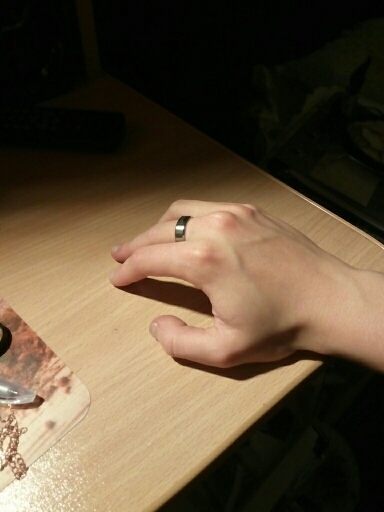 Good item. 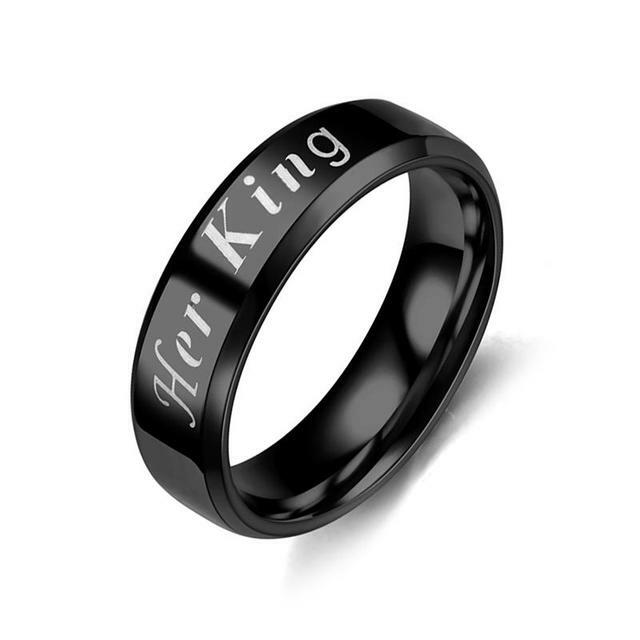 Normal shipping time. 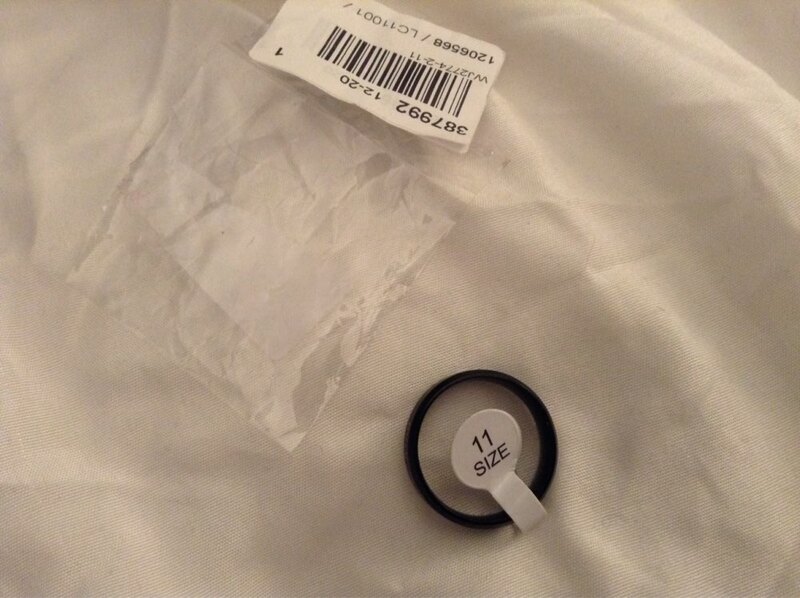 Everything is as in the description, delivery is fast, I liked everything.